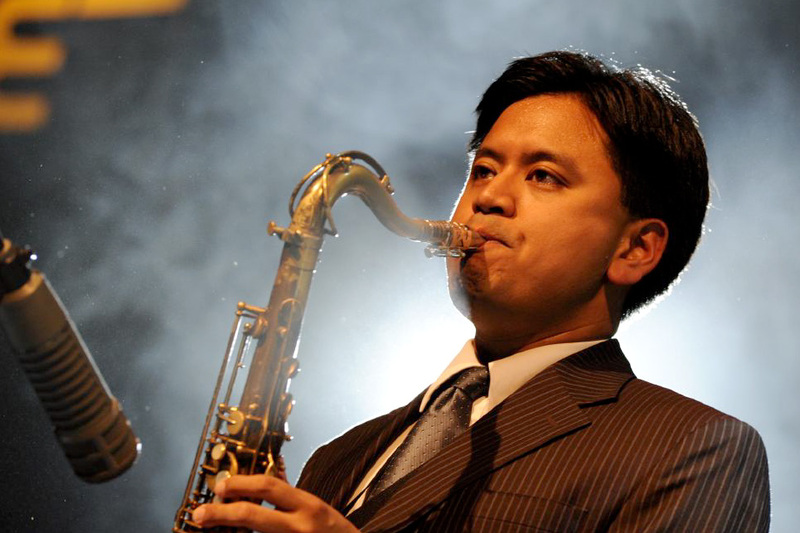 Jon Irabagon was the winner of the 2008 Thelonious Monk Saxophone Competition, and is part of many recording and touring creative music groups. Aside from his work as a leader, he is a member of Mostly Other People Do The Killing, The Dave Douglas Quintet, Mike Pride’s From Bacteria to Boys, The Mary Halvorson Quintet, and several others. Recently, Jon took time out of his busy schedule to answer some questions. What is your musical background. Were you musical from a young age, or did it evolve later? I was into singing along with the radio and trying to figure out songs on the piano from a young age, but it wasn’t until high school that I was introduced to and became fascinated with improvised music. It started with Cannonball Adderley and Sonny Stitt but quickly expanded to John Coltrane and Steve Coleman, and from there, Evan Parker, John Zorn, etc. started informing my concept of improvising. I started listening to the music late but once I discovered it, I started expanding my listening palette quickly. Your latest two releases on Irabbagast Records, Inaction is An Action and Behind the Sky explore two sides of your coin, so to speak. Were these recordings intended as companion pieces? areas of music and improvisation that I am interested in. 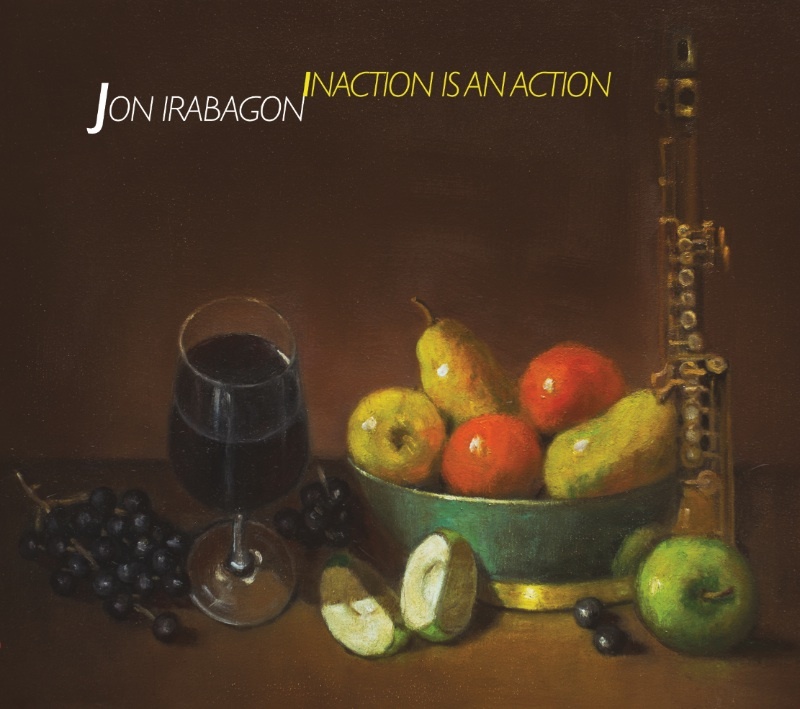 On Inaction is An Action, you manage to traverse new ground in a territory (solo sax) that is well explored by big names such as Braxton, Parker, and Butcher. How did this recording come about and what was your approach with respect to evoking new sounds from your instruments? Were you influenced by the aforementioned individuals or any others? As I said above, I’ve been wanting to do a solo record for a long time. I have a large collection of solo records, including ones from Evan Parker, Anthony Braxton and John Butcher but also solo records by Lee Konitz and Steve Coleman, and many more. I also started getting solo records by musicians on other instruments, including Nate Wooley, Albert Mengelsdorf and Axel Dorner. Not only did checking all this music out give me an idea about the landscape of solo recording, but it also, more importantly, showed how many possibilities there are with doing a solo record. I wanted to take that expansive and “what-if” philosophy and work from that. I spent almost all of 2014 doing solo shows, trying out things in sessions and in rehearsal spaces. I was trying anything and everything to see what the sopranino would give back, and the record is the results of that experimentation. I’m looking forward to the next step with this format and this instrument. You’re rapidly becoming a leader and side-man of choice in New York’s creative scene. Is it your goal to be so prolific, or is your recent productivity a natural result of being in the center of a rich music scene? I’ve been lucky to meet so many great and innovative musicians since moving to NYC years ago. It’s been inspiring to hang and talk with them and see where they are taking their own music, and it helps feed my imagination and ideas for where I am heading. I’ve been fortunate to get to perform the kind of music that interests and challenges me and to have found musicians who can complement the areas I am going for. Speaking of the New York scene and its richness, do you feel as if you are part of something special? It is definitely a special time in creative music right now. There are so many musicians striving for new and interesting ideas, so it’s great to be in the middle of that. The musicians inspire each other, and over time, that inspiration yields unique and fascinating results. Many friends of mine are not only playing amazingly but also contributing something new and unique with their compositions, and it is a blessing to be around. Can you discuss a few of the other bands you play with, such as those lead by Mary Halvorson, Dave Douglas, Moppa Elliott or Barry Altschul – for instance what are some of the similarities and differences in their respective approaches? Part of the fun and the challenge for me has been to play with so many different bands and try to maintain my personality and voice in each. Each of the bandleaders you have mentioned have different musical goals and different ideas about what a band should be, how open or loose a composition or a set should be, etc, so it has been great to see so many different angles. It has definitely helped me as a bandleader to see these different takes on leading and picking and choosing which aspects I want to take from each. I think the main differences come down to how each band leader wants to present their music and how tight / loose they are wanting the music to go and how much anarchy / democracy they want in their bands. The main thing that ties all of these bands together is that the bandleader has a strong idea of what their music says and represents, and I respect and love playing with all of them for that. What are you looking forward to for the rest of 2015 and early 2016 in terms of performances and releases? I’m currently on a lengthy U.S. / Europe / Australia tour with the Dave Douglas Quintet which will take up most of the rest of 2015. At the end of the year I’m recording on both Mary Halvorson Octet and Mostly Other People do the Killing Septet records which will come out in mid 2016. This month, in addition to Behind the Sky and Inaction is an Action, I’m on the new Dave Douglas record Brazen Heart, the new Mostly Other People do the Killing record Mauch Chunk and the new Barry Altschul record Tales of the Unforeseen. It’s been a busy time and I’m really proud of all these records. I’ll be touring a lot in 2016, including a tour in Europe with my trio with Barry Altschul and Mark Helias and some dates in the U.S. with Barry’s trio. I’m also leading a new group with Matt Mitchell, Drew Gress and Tom Rainey, playing some of John Zorn’s new bagatelles, so we’re hoping to play several times over the year. I’m also currently writing a woodwind quintet and well as preparing the next Outright! record.